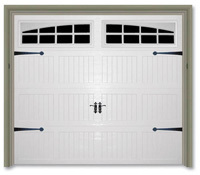 These strong, stylish urethane-insulated sandwich doors are built to a safeguard against the elements and be structurally rigid. 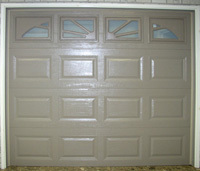 Durable as well as attractive, these doors come in seven beautiful colors. An attractive, select model engineered for durability, and energy efficiency. 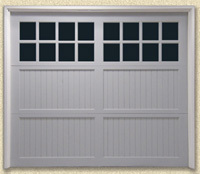 This door is available in 3 pre-painted colors, short and flush design, with an insulated core that protects through the harshest conditions. 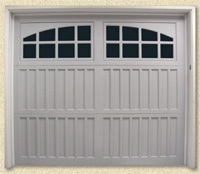 The beauty of this model is continued on the inside with polyester coated steel protection. Designed to compliment a variety of home styles, this door will provide many years of dependable maintenance free service. 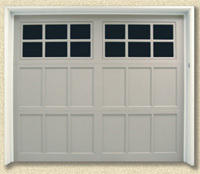 For a traditional looking heavy-duty steel door this model is truly among the best around. 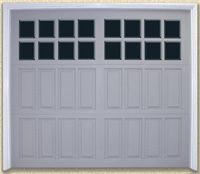 Available in 4 designer colors, it is an attractive, top-of-the-line door that will both complement the looks of your home and provide dependable protection for many years. Designed to accompany a wide variety of home styles, this heavy-gauge model is fit for a long life. 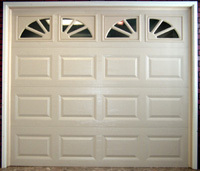 Heavy duty solid wood frame sectional garage doors. 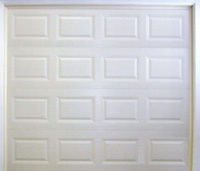 Metropolitan now offers a new line of residential steel doors. 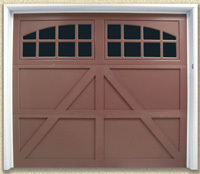 The Carriage House series doors are designed for years of long lasting protection and are available with or without insulation. Fabricated with exterior and interior steel studs and injected with CFC free urethane insulation, and R-value of 14.3, the 5200 model offers exceptional thermal protection.